Bye Bye Buy: Out you two pixies go, through the door or out the window. Out you two pixies go, through the door or out the window. I went to the doctor today, in preparation for my new health blog that will begin January 1st. He did all sorts of tests so that I know what condition I am in now, then in six months, then at the end of the year. I am so excited I could spit. I made the appointment months ago, because I wanted to get my health stats as close to 1/1/08 as I could. But I'm glad I had the appointment, because I am covered, covered I tell you, in some sort of rash. Goodness, I do hope my friend Donna is not reading this particular entry. Rashes freak her out. So does the word "succulent." Now I have really made this a nightmare post for her. The bad news is the doctor has no idea what is wrong with me and I have to go to a specialist. My theory is it's Lassa Fever or something. Lassa Fever is what everybody got on General Hospital in like 1982. I think it was a way to fire the boring people (like that poor nurse Audrey, who was 702) and get a new, young cast. I do hope you're all planning to join me over on my new blog. Then if that one gets really popular you can be cool and say, "I was reading her back when she was doing Bye Bye Buy." Kind of like how everyone tried to act like they were huge Nirvana fans before they got really big. How much of a chance is there my health blog will become as popular as Nirvana? Is SOMEbody getting a bit big for her britches? Indeed I am. Hence the need for healthy eating. Me and my hives will talk at you soon. I want you to know I'd really like to buy a fat caliper before January 1, but I am abstaining so far. I know. I am steely with self-discipline, aren't I? Hey, I have a big idea. Since you all know what my New Year's resolution is, why don't you tell me yours?! And look up "erythema multiforme" on the web -- that's the head-to-toe rash I had a couple of months ago. Just in case you want an alternative to Lassa fever. This is not a comment about a resolution (I have never made a New Years resolution, which is odd, but anyway), but about the fat calipers. I am really intrigued by them - I was watching (I shouldn't admit this seeing as I'm 6 months to 30, not 14), Made on MTV and this girl wanted to be a beauty pageant queen and the trainer they gave her was using calipers to measure her fat, and I was thinking, "Can I measure myself with those? Like, by myself? How would that work?" So, like, do you know how to use them already? How to measure, where to measure, reading it, etc. Where did you get the idea that you wanted to own a pair? I suppose you could get one of those scales but we have one and I swear it over estimates my fat percentage (I've been measured a couple times at health events and it's always much less). I have used calipers before and they went on the upper arm. I know it's not the most accurate thing on earth, but at least I can start measuring somewhere. Last time I used one, at Curves n like 2003, they said I was 32% fat. Which is like a third of me is fat. That is not good, right? I think it shows nice self-acceptance that you do not make New Year's resolutions! actually, I think 32% is in the normal range. 20% and under is "lean" (better than average) for a woman around 30. I think the range for normal is like 20-35 or something (I might be pulling this out of my arse, but I seem to recall that. Plus my inaccurate scale said I was like 33% once, and it classified that as normal. I say inaccurate because has fluctuated from 22% to 33%). Maybe I'll get me a pair of those buggers too, I am always wondering if all the yoga I am doing is improving my muscle mass. A couple years ago, I tired (despaired) of resolving, again, to lose weight, so I resolved to read a biography about each U.S. president in the upcoming year. But I was so blown away by David McCullough's book about John Adams (Seriously. I love John Adams now.) that I stopped. Third week in January. I started trudging through "Truman" last year (also by McCullough), but got sidetracked by, uh, maybe a hummingbird? This year I want to lose weight, finish "Truman," save money, and start showing more of a backbone. I'm looking forward to joining you Jan. 1st. Is there a "play along at home" version? I don't do New Years Resolutions. I'm contrary like that. But I am looking forward to getting back to working out. I've missed it since the kids have been home for Christmas break. I am never ready to make New Year's resolutions. A few times in the past, I have made Ground Hog's Day resolutions. I'm not good at making New Year's resolutions, but we have already started eating right--started the day after Christmas and after consuming an entire box of See's Chocolates in two days! And we are goin to attend Financial Peace University (check out Dave Ramsey's website). We're not in debt, but want this knowledge, so we can be a better steward of our money. 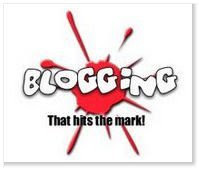 Do you have your new blog named? I can't wait for your new blog! My resolutions: to pay MUCH more attention to the clothes I buy. I'm going for more organics, and going to try to hunt down designers that produce in the US. That and I'm going to swap out champagne for all the water I drink and get really fat. It's gonna rock! I guess my resolution would be to run into you somewhere in NC and instantly recognize you and become fast friends. I don't know what fast friends do but, I've always wanted one. Also, I think your new blog will be wildly popular. Maybe you can sell autographs or something.